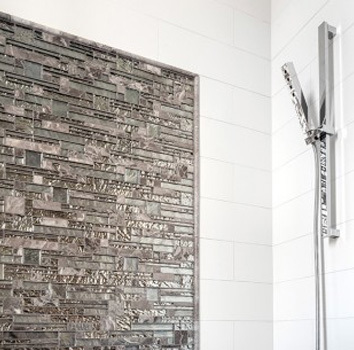 When it comes to creating a retro modern look or simply adding colors to floors, walls, showers and backsplashes, Mosaics are the perfect tile for the job. With its rich stunning colors that come assorted with combinations of glass, stones, metal, copper and even mirrors makes it a perfect tile to give any design the pop it needs. From natural tones to bright, rich and tantalizing colors makes mosaic on top of your list in creating your latest kitchens, walls, backsplashes and bathrooms.